"I have known Doug Glanville for many years and always enjoyed competing against him. Doug was a great student of the game and someone who seemed to enjoy his playing career and took a lot from it. That is demonstrated in The Game from Where I Stand. Doug paints a very entertaining and accurate picture of the game that we love. 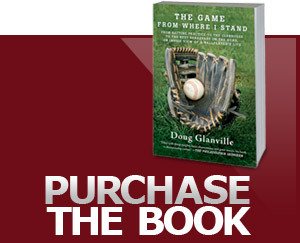 This book will make you laugh and provides wonderful insights about our national pastime."